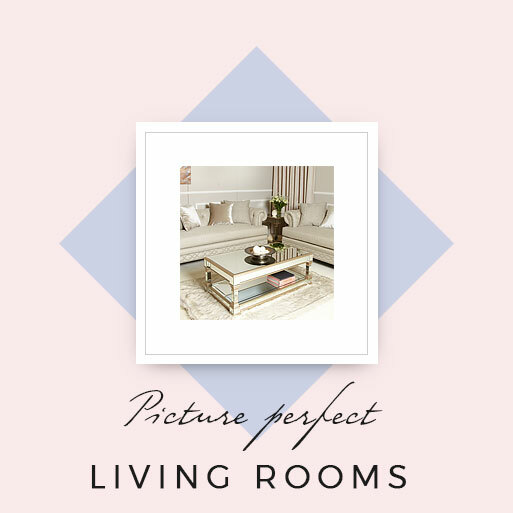 Welcome to Picture Perfect Home. 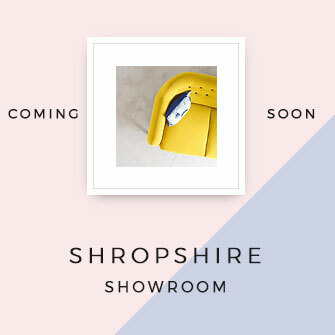 Founded in 2011 from small beginnings we now have a large warehouse near Market Drayton, Shropshire which is fully packed with an amazing array of designer furniture and gifts for the home. 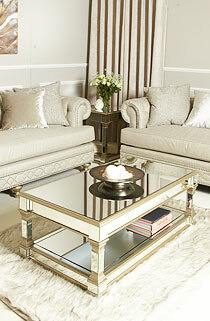 The furniture designs we source are designed by some of the best furniture designers in the industry. 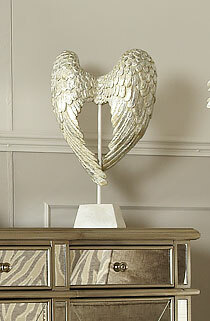 Each piece of furniture is hand picked, unique and will make a great addition to your home. 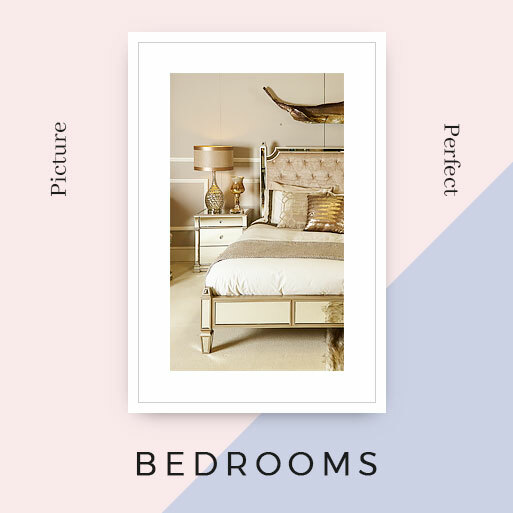 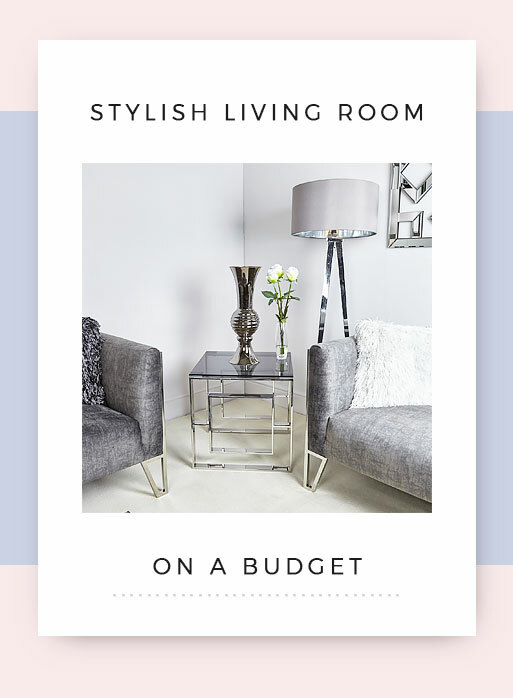 We specialise in Mirrored Furniture and we have some great Mirrored Bedroom, Living Room, Hallway and Dining Room Furniture ranges as well as an extensive range of premium Mirrored Accessories. 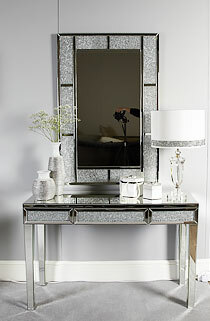 Our Mirrored Furniture collections have something for everyone and every taste. 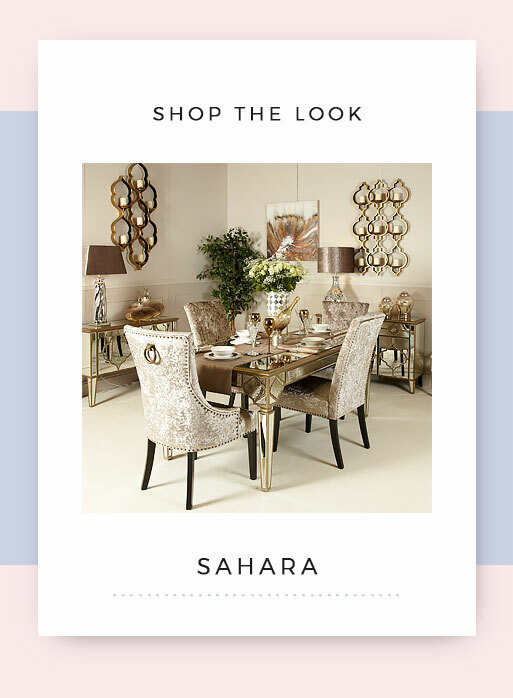 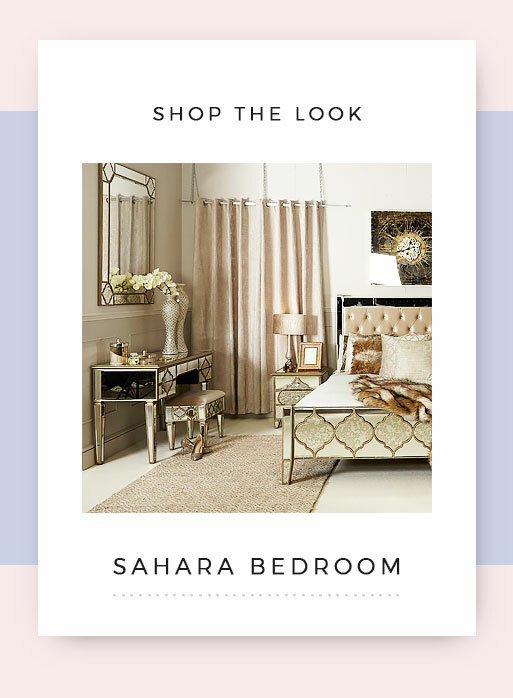 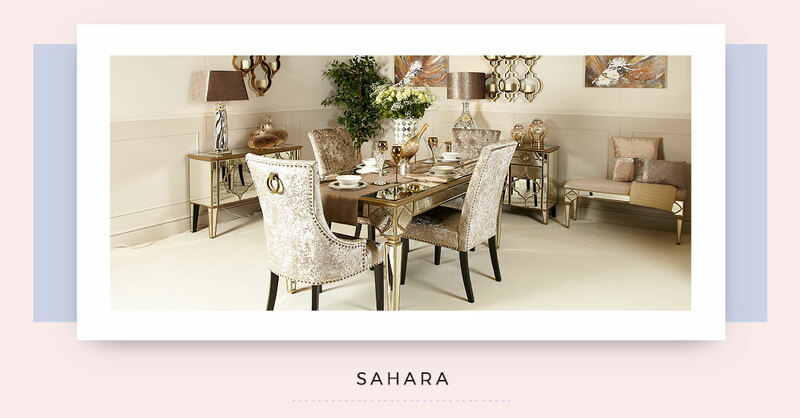 For example, our Sahara Mirrored Furniture and Accessories range features beautifully ornate gold Mirrored Furniture pieces and accessories inspired by the ornate glitz of Morocco and brings a sumptuous feel with an ethnic retro flourish. 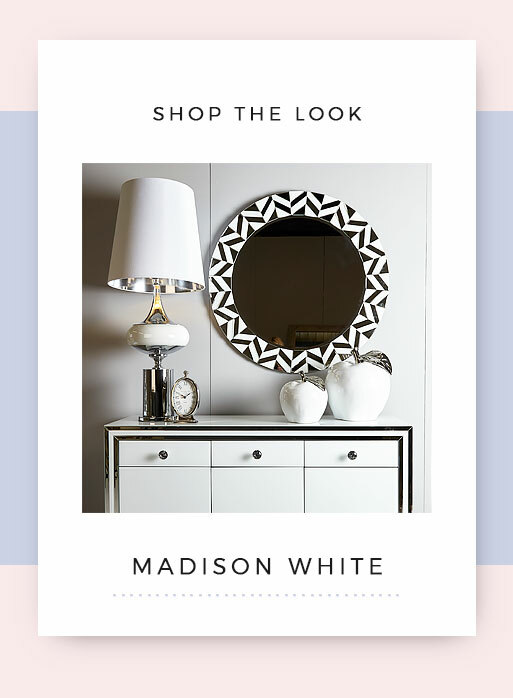 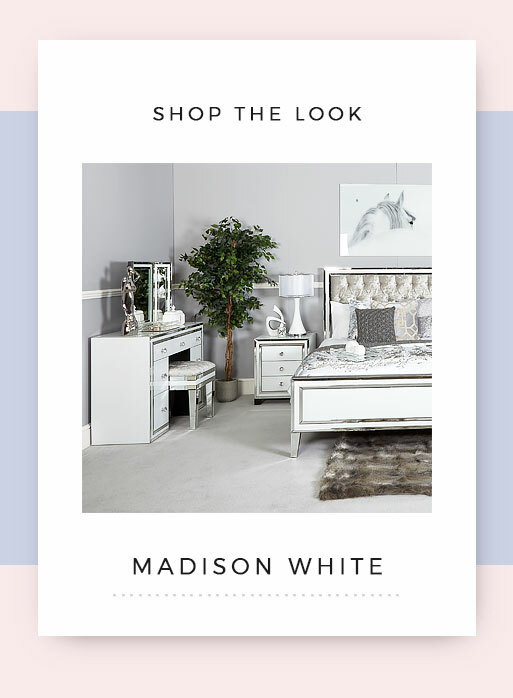 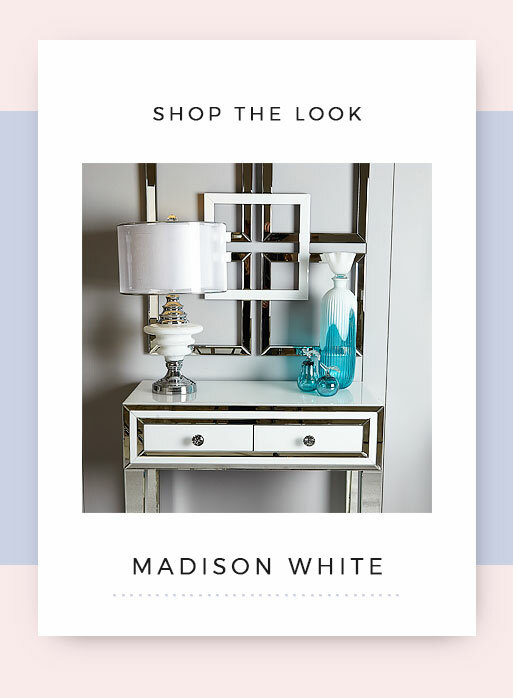 Our Madison White Mirrored Furniture and Accessories Range features luxurious glossy white finish and unmistakeable craftsmanship. 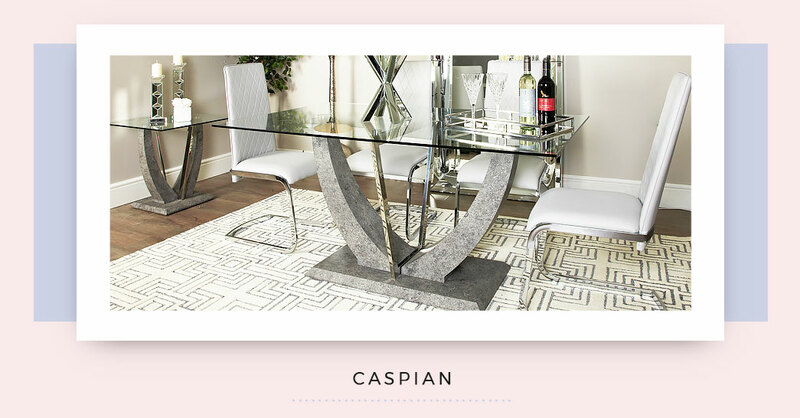 Our Madison Black Mirrored Furniture and Accessories range features a contemporary style and luxurious glossy black finish. 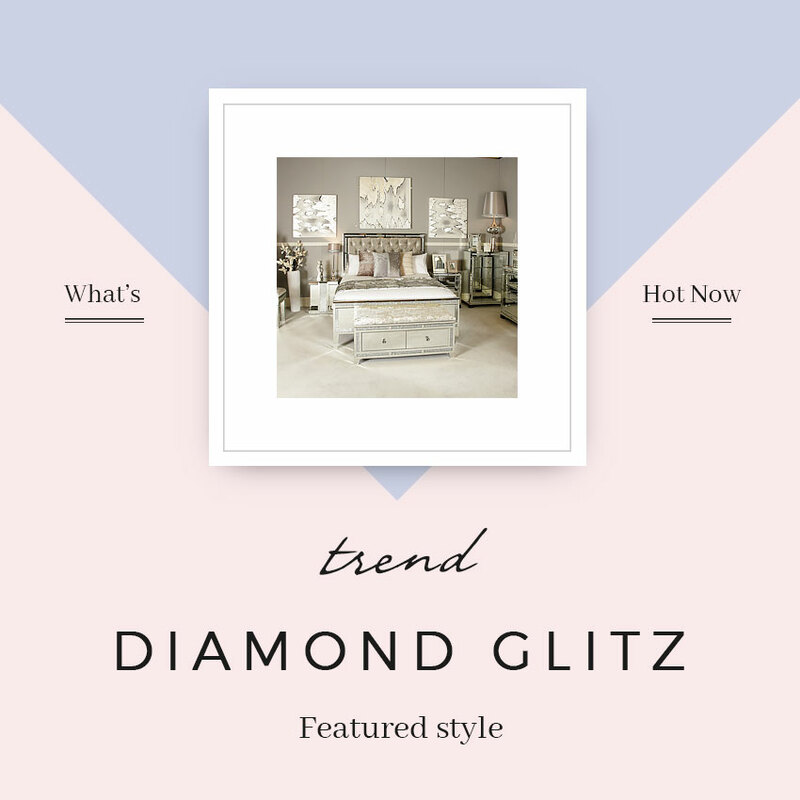 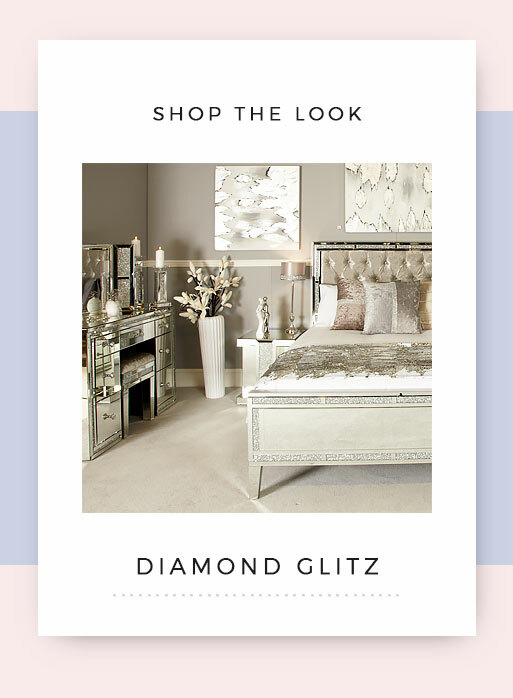 Our Diamond Glitz Mirrored Furniture and Accessories range features furniture pieces and accessories inlaid with bricks of tiny diamond effect sparkly crystals creating a very opulent and luxurious look. 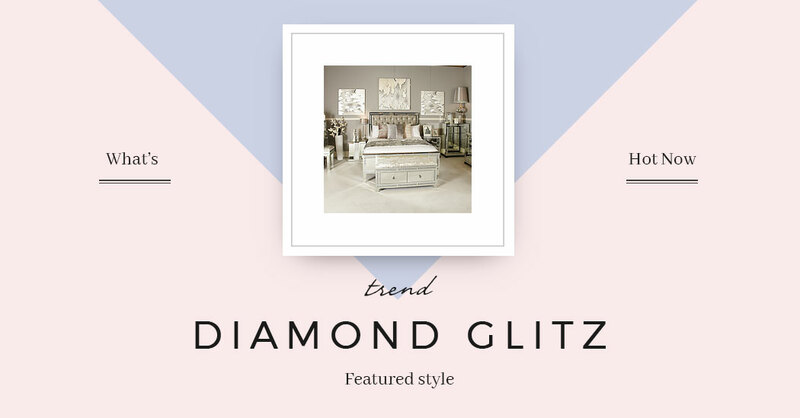 Our Diamond Crush Mirrored Furniture and Accessories range has been designed to create optimum sparkle and glitz with inlaid top panel of beautiful tiny crushed glass crystals that reflect the silver mirror panels and enhance any contemporary home furnishing style. 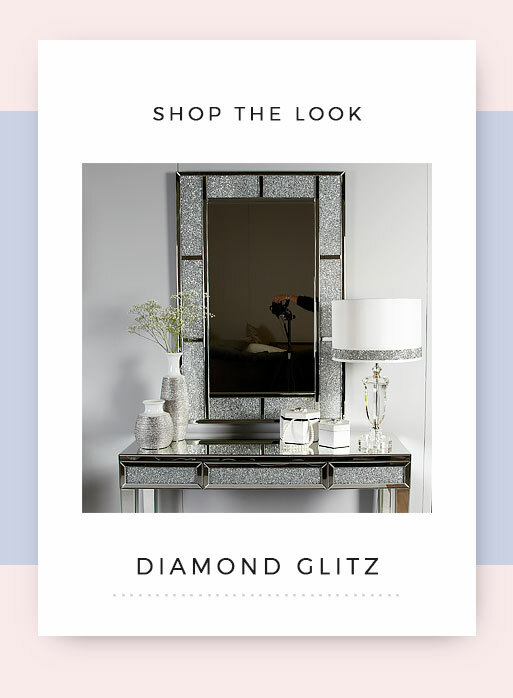 Our Crackle Glass Mirrored Furniture and Accessories range has been crazed by hand to create a very pretty, unique glistening sparkly finish. 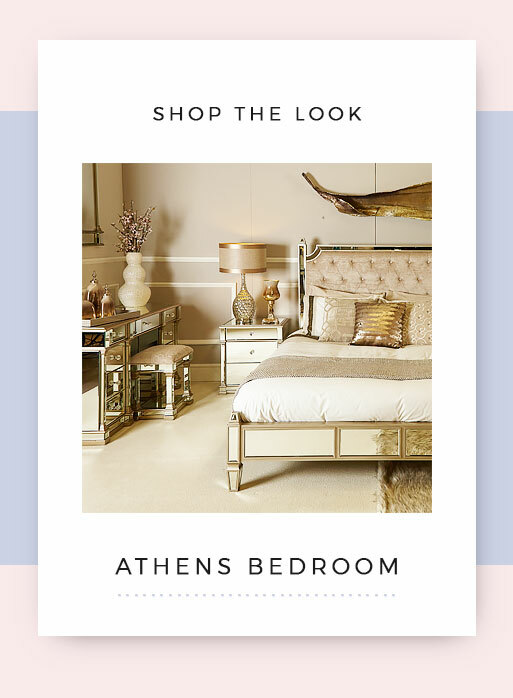 Our Venetian Gold Mirrored Furniture and Accessories range is inspired by the Italian designer Venetian period and combines classic lines with a glamorous deep gold-stained fir-wood trim. 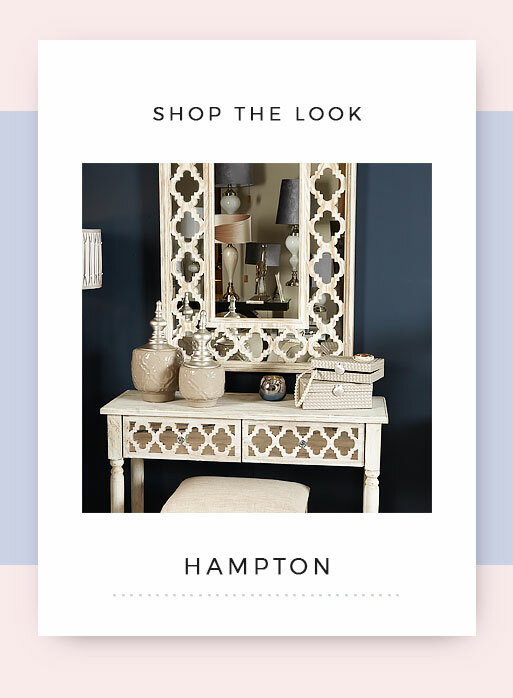 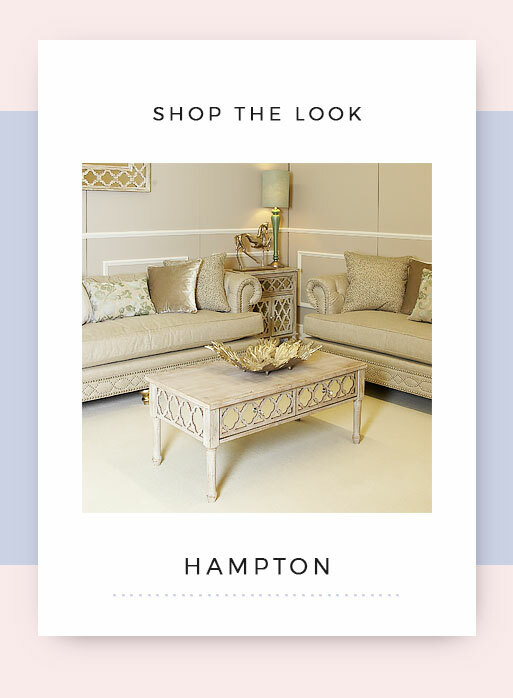 Our Hampton Mirrored Furniture and Accessories range timelessly unites classic beauty, practicality and the charm of shabby chic styling. 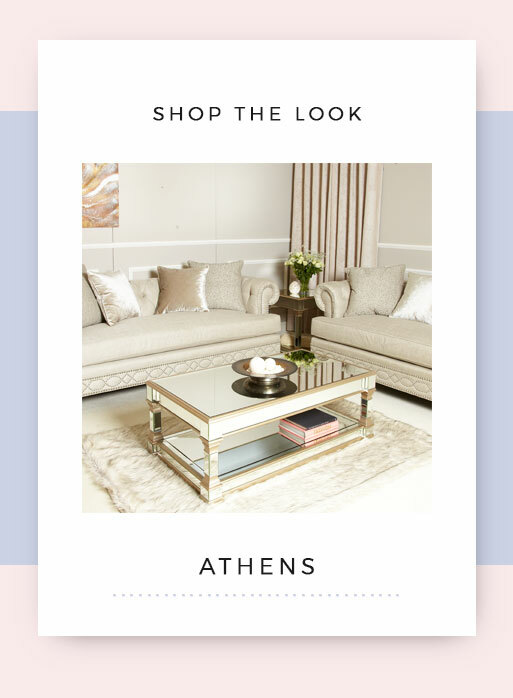 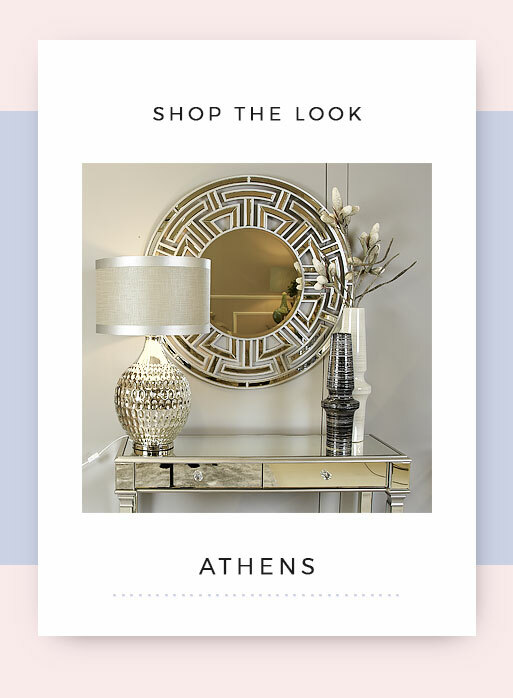 Our Athens Mirrored Furniture and Accessories range is inspired by the elegance of Grecian pillars and boasts luxurious bevelled mirrors, champagne gold gilding and a superior, distinctive quality of craftsmanship. 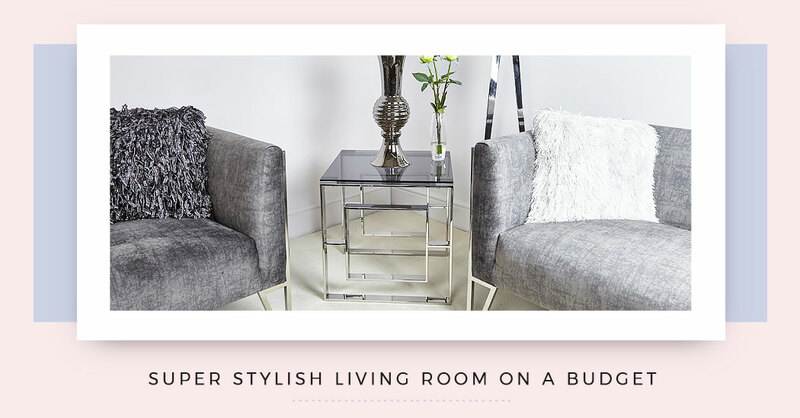 Our Floating Crystal Mirrored Furniture and Accessories range incorporates a sparkling silver finish with bevelled edged mirrors and panels of delicate shimmering crystals that catch the light beautifully. 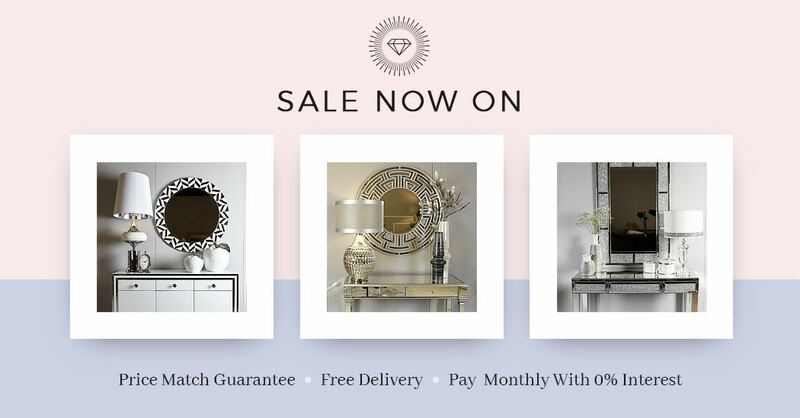 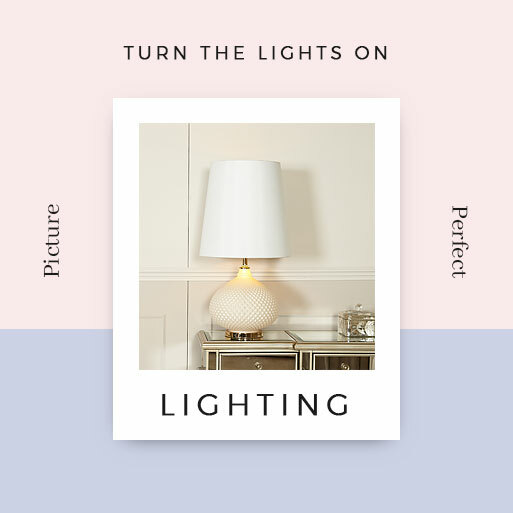 Our Classic Mirror Furniture and Accessories range delivers uncomplicated aesthetics, superior craftsmanship and on-trend bevelled mirrored panels that refract the light. 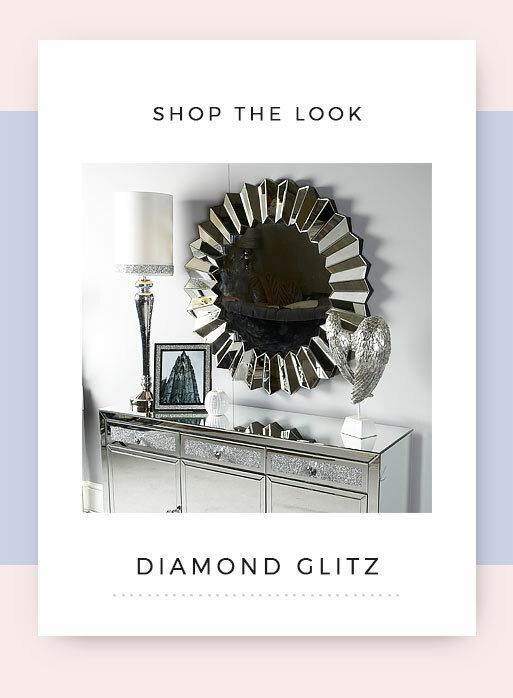 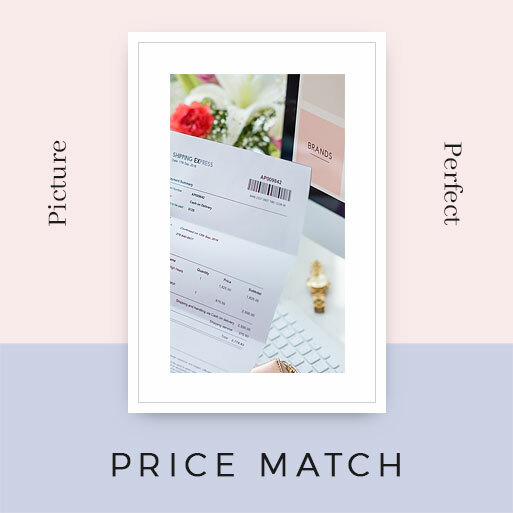 But, we don’t only stock Mirrored Furniture and Accessories. 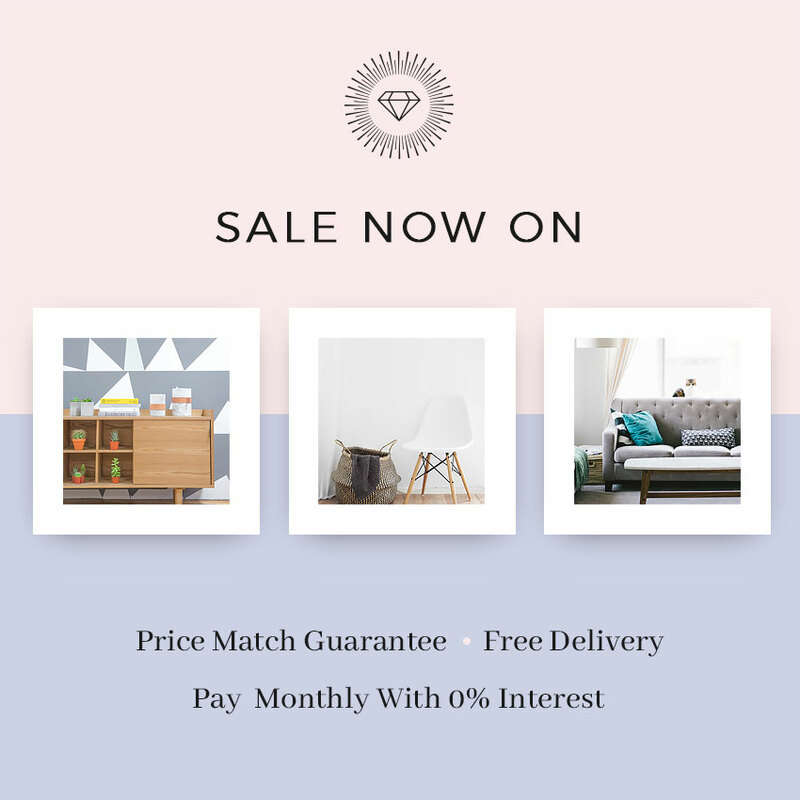 We also have a great collection of Industrial style furniture and accessories and an ever growing collection of Country style furniture and accessories. 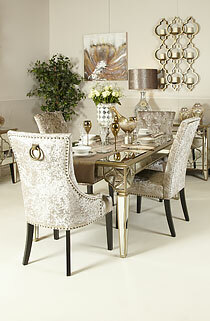 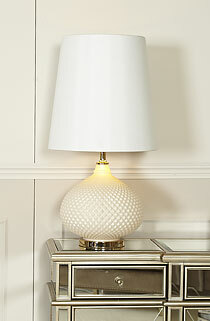 We stock an ever growing range of contemporary and vintage style designer home furniture and accessories. 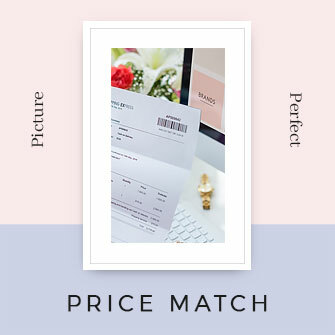 Customer service is paramount. 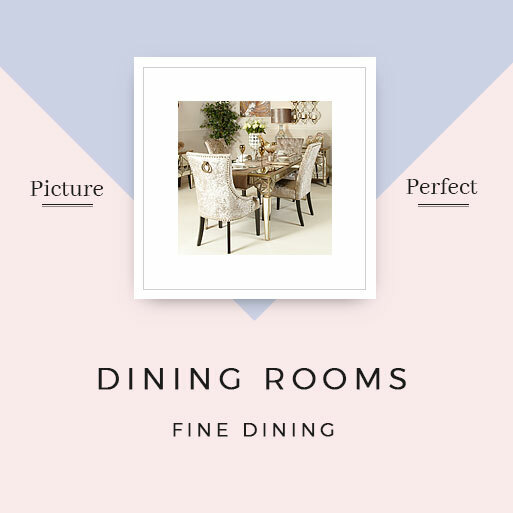 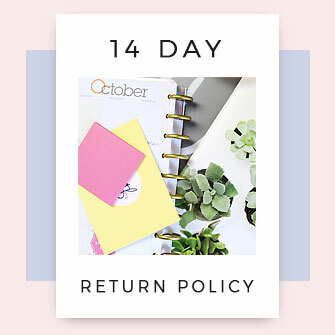 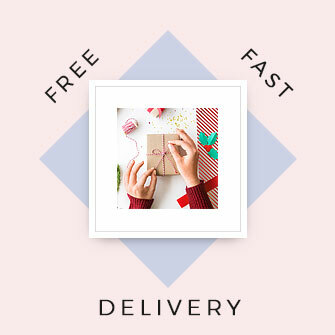 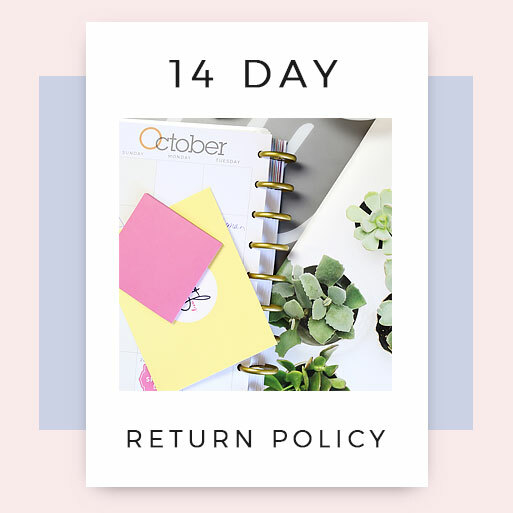 We check and pack your order with great care and much consideration is given to ensuring everything is packed in a way to minimise the occurrence of damage. 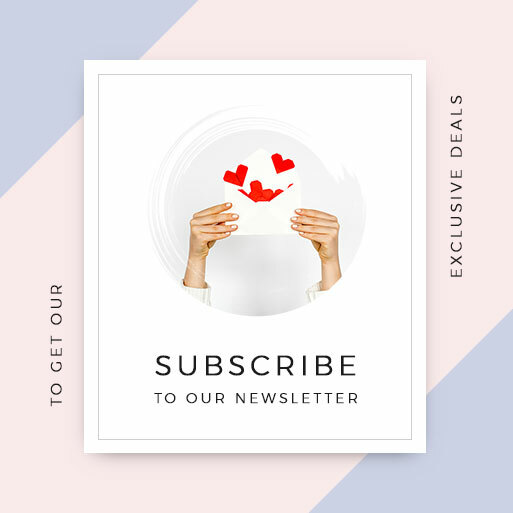 We love buying! 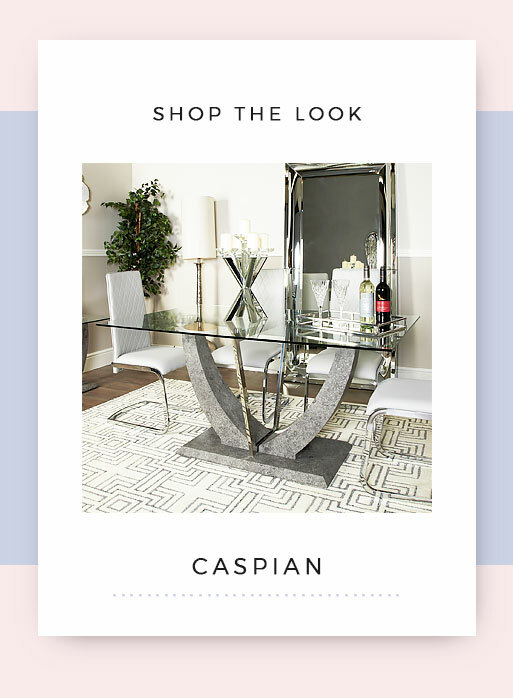 and we are always searching for interesting and different designs to bring to our customers, so please add us to your favourites. 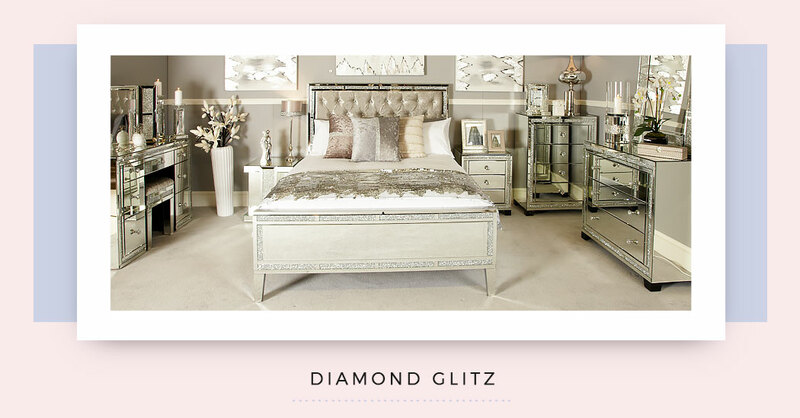 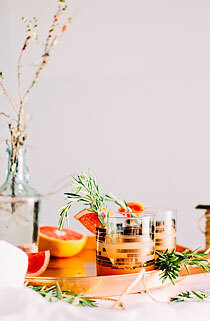 Don’t forget to follow us on Facebook, Twitter, Pinterest & Instagram for up-to-date news and offers.